STMicroelectronics offers a wide range of chips for designing navigation devices with various technical features, from portable low-consumption trackers to on-board navigation systems with a rich graphic interface. The Teseo/Cartesio system-on-chip family brings together baseband and position processors, as well as an extensive set of peripherals which help design a navigation device with a minimum of external components. There is also a chip version for Teseo, which includes an RF frontend, as well as baseband and position processors in one package. Modern embedded CPU devices require systems-on-chip with an ever-increasing computing performance and energy efficiency for applications such as communications, management, security, multimedia and computing. The SPEAr line of processors boasts outstanding technical features and is designed to meet this demand. The SPEAr family of embedded processors is based on ARM cores: one ARM 926EJ-S core for the SPEAr300 Series, dual-core ARM926EJ-S for the SPEAr600 Series, and dual-core ARM Cortex-A9 for the SPEAr1300 Series. The SPEAr 300 contains everything that is necessary for applications which require low power consumption and developed electrical interfaces: IP telephony, graphic terminals, security systems, etc. The SPEAr310 targets applications in telecommunications and contains a large number of Ethernet ports (1 MII and 4 SMII), as well as two HDLC ports. The SPEAr320 is designed for consumer electronics and production process automation equipment and contains an LCD controller (resolution: 1024x768) with touch screen support, as well as a number of ports and interfaces. High-performance ARM926EJ-S processor cores make the SPEAr600 SoC an excellent choice for applications that require increased computing power. The SPEAr1310 with two ARM Cortex-A9 processor cores and the DDR3 memory interface is a combination of computing power and advanced power-saving technologies. The SPEAr1310 is designed to be used in the development of low-cost and low-power network devices for home or small business, as well as for telecommunications equipment. This device is based on the new ARMv7 core and includes a C3 security coprocessor and an extended set of interfaces. The SPEAr1340 integrates a powerful graphic core, ARM Mali-200, with 2D/3D acceleration support. The processor is designed for user interface development, navigation, web browsing and gaming. It includes a video codec that supports major compression standards (including H.264 and AVS), with a resolution of up to 1080p and 30 frames per second. These features allow for the use of the SPEAr1340 in applications that require simultaneous processing of multiple video streams, such as video surveillance or conference video applications. Despite its outstanding performance parameters, the SPEAr1340 remains a rather low-power processor. The system includes two Cortex-A9 cores which provide a performance increase by up to two times, when using the SMP OS. 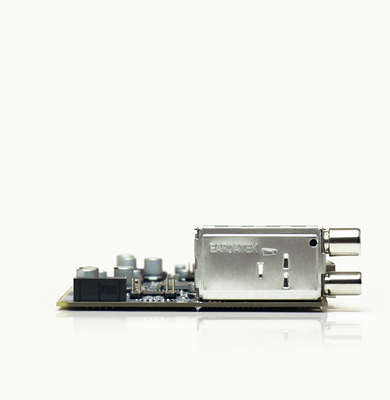 The SPEAr1340 is also well-suited for input-output multichannel audio streams using the I2S bus or S / PDIF interface. 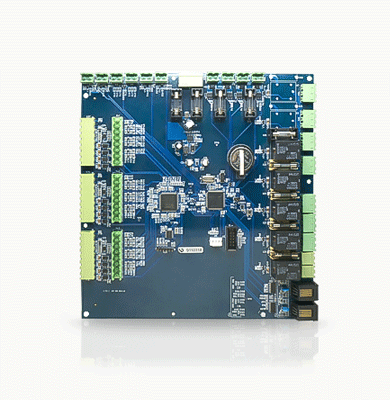 To be used in security systems, the SPEAr1340 SoC contains a multistandard cryptographic core and one-time programmable memory (OTP) registers for unique identification and tamper-resistant, or anti-tamper, systems. Created using the 55 nm HCMOS technological process, this new processor inherits the SPEAr1300 architecture which combines unrivaled low consumption, the computing power of two processor cores and an innovative technology called network-on-chip (NoC). Do you need custom electronics development based on STMicroelectronics processors? Contact us! We are ready to answer your questions.